For years my only experience of pumpkins was carving faces into them at Halloween, my sister and I used to get one each and were left (at a surprisingly young age!) to carve them ourselves, after such fun we would roast the pumpkin seeds but that was all we ate of the pumpkin. I was all grown up before I would taste pumpkin pie and if I’m honest it’s not my favourite thing although there is something about it that has me craving it and trying again each autumn. I’ve decided that it’s the flavour of the spices that keeps me coming back. You can buy pumpkin pie spice although its only available here at inflated import prices so I thought Id try to make my own. If you bake you are likely to already have the spices you need for this, it will take mere moments to make. You will the then have the perfect spice for your autumn baking regardless of whether pumpkin is involved! tip: Saving an old spice jar is perfect for this if you don’t already have a little tin or jar. While you are at it why not make extra to give as a little gift? Measure all of the spices into a small bowl, stir to combine. Keep in a small tin or jar. This entry was posted on October 5, 2013, 18:17 and is filed under Baking, Food gifts. You can follow any responses to this entry through RSS 2.0. You can leave a response, or trackback from your own site. your post makes me smile 🙂 Photo is lovely. Thank you, sweet of you to say! 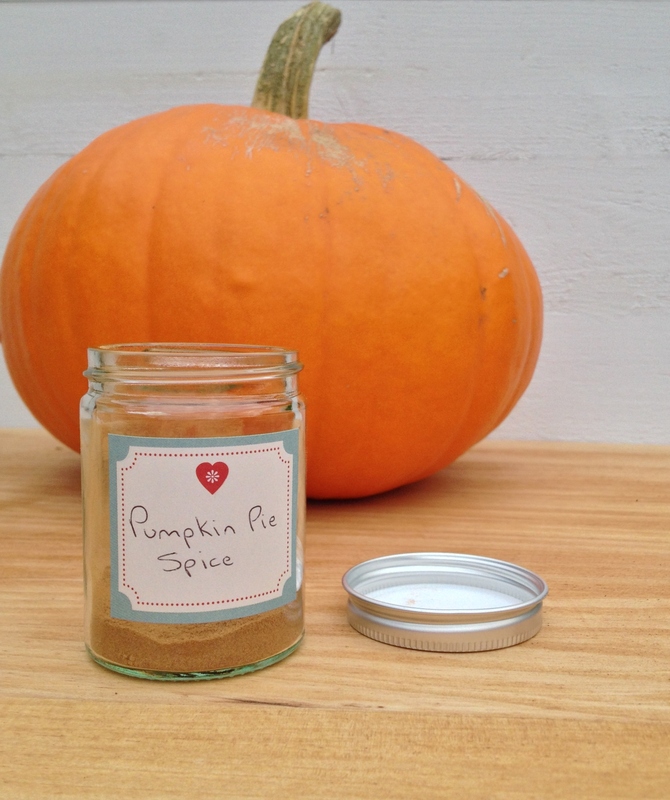 I have never met anyone from the UK who can tolerate pumpkin pie – LOL…Great idea to make your own spice mix. Thanks Liz, true it is definitely not served often here! 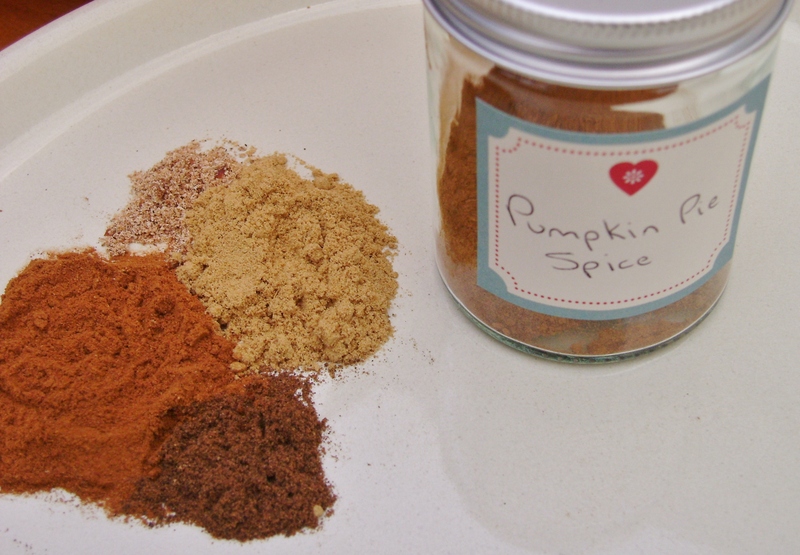 I have never bought pumpkin pie spice, but now I don’t have to! Thanks for sharing! My husband won’t go two feet near a Pumpkin Pie Jayne!!! But, I made a gluten free Pumpkin Bread yesterday using a jar of my Pumpkin Butter and added a few small chocolate chips and he ate it just fine!! Love the idea of making your own mix for the spice blend. I can smell it from here! Cute post. English husbands and pumpkin pie just don’t go together do they? Your pumpkin bread sounds great! Lol! Sadly there will be no pumpkin pie here, my husband won’t touch it!